This weekend I so enjoyed laying out Aria’s new quilt. I cut up all of my Ombre Confetti fabrics and then most all of the Paintbrush Studio solids too. 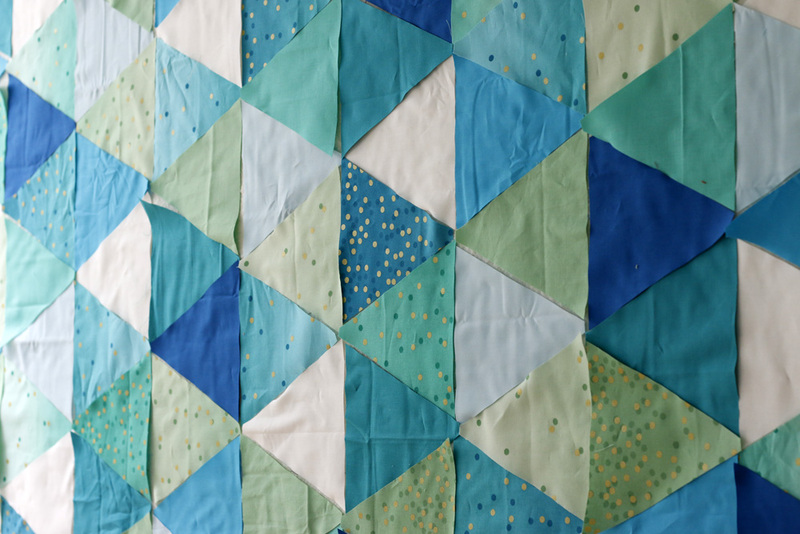 Juggling the colors so that they are evenly distributed across the quilt is a slow and meditative process. This is the kind of quilt that wants to be entirely arranged and only then stitched. I know I used to work without a design wall way back when, but I don’t know how! By the way, my “design wall” is just Warm & Natural batting purchased on a roll and stapled to the wall. It totally works! For a simple, analogous color scheme like this, the ombre fabrics really are a boon. They create a feeling of movement and variety so that the work doesn’t feel flat. Aria is not a girly-girl, so I was a little nervous that she might find the confetti too flashy. But, she seems to like it. Yay! 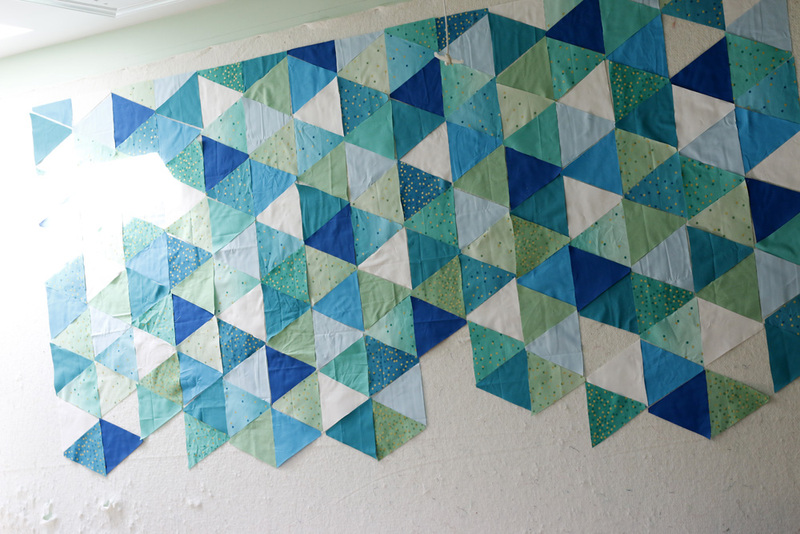 Now that I’ve laid out the entire quilt on the design wall, it’s time to sew it together, row by row. I’ll be chain piecing, batch-pressing and chain-piecing some more today…. and most of the week. One row down; fourteen to go! As much as I’m excited to give this to Aria, I don’t want to take it off my wall. Right now when I walk into my sewing room, I just sink Into these colors. Solids really do make an impact! I’m so glad she steered me this way. Mmmmmm.